Kickstarter Pick of the Week is Vulcan Post’s weekly series where we share some of the most noteworthy and creative projects that aim to make positive improvements to our lives. Come across anything interesting on crowdfunding websites? Let us know at team@vulcanpost.com! 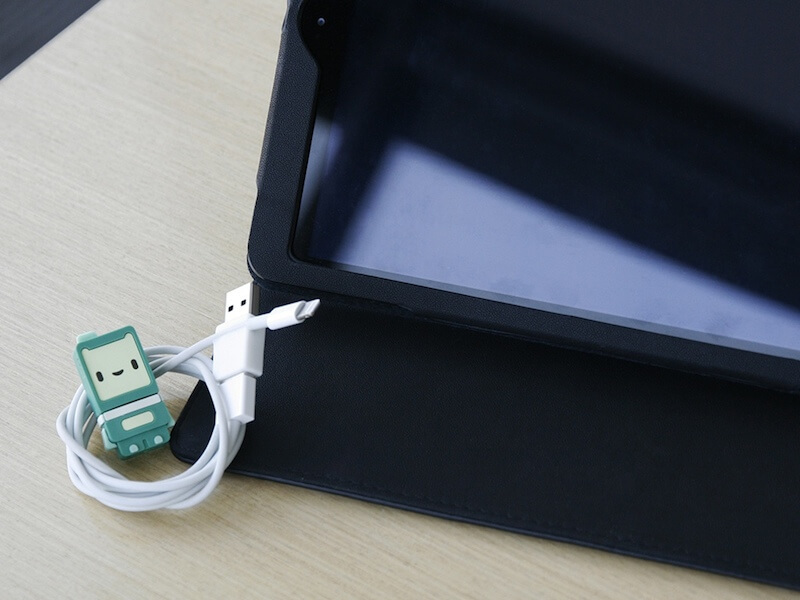 Here’s a snappy idea: a USB adapter that can be plugged in both ways. Currently happening on Kickstarter, the product, named ryo, aims to put a halt to failing attempts at plugging a flash drive into an electronic device. — Julian Chow, Creator and Project Leader of ryo, on the frustration when dealing with USB cables. Have you noticed how cumbersome it is to shove in an adapter into a laptop? It’s time-consuming, and let’s face it: it usually sends us into a fit of rage. Well, not anymore. Because according to ryo’s Kickstarter page, no matter how you pull the cable out, ryo will always remain attached and not get stuck. 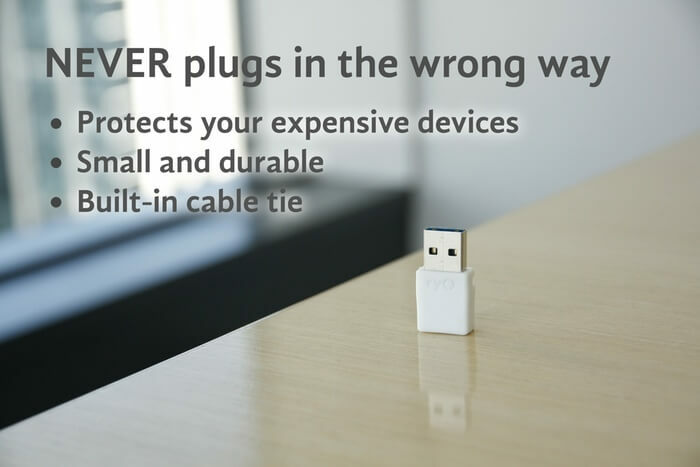 The ryo adapter also works with all of our existing cables, and protects them all. Backers who select the Premium, Double Up, Hexadeal or Collector’s Dream Rewards are in luck — they will receive the Kushi USB flash drive. That’s the little mascot pictured below. And just like the ryo adapter, Kushi can be plugged in both ways. It even has different reactions on either side of its robotic face. 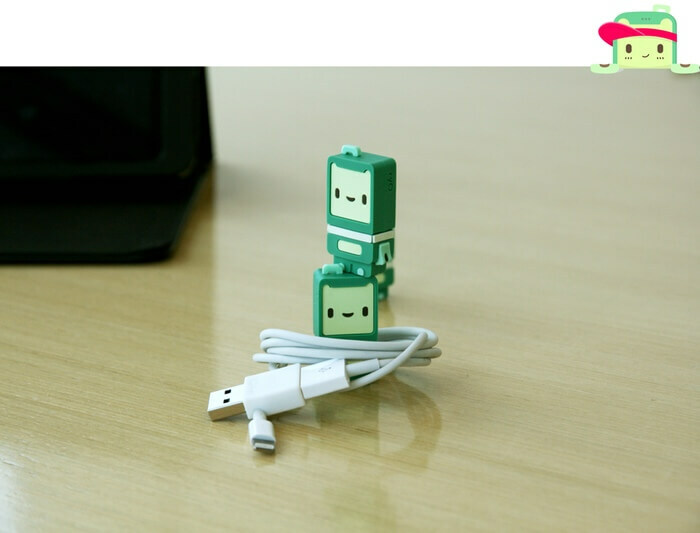 It’s official: this flash drive is so cute that I want to pinch its little cheeks. Check out this graphic for the full perks. And that, to us, is as good a plan as any. ryo is expected to be shipped out on September 2015. If you like what you’re reading, check out the full campaign currently happening on Kickstarter.